Home warranties are service protection plans that provide coverage for home repairs. A home warranty comes with a basic annual fee, no hidden charges and worthy protection for all major mechanicals in home. Not only do home warranties cover heating, electrical and plumbing systems, but they also extend to common appliances such as fridges, water heaters, clothes dryers and air conditioners. Choice Home Warranty will cover the appliances and systems inside your home. Whether a replacement is necessary due to general wear and tear, or an unexpected breakdown, it may be covered by one of our home warranty plans. Many people confuse home warranty with homeowner’s insurance, but they are distinct products. A home warranty is a service contract that covers repairs or replacement of your major systems and appliances. Home insurance, on the other hand, covers your home for storms, fire, and theft. Anyone living in and around Las Vegas can testify to the desert climate in the area. It is very much a subtropical region, where the summers are long and very hot. The winters are short and mild. There are only a few cold nights all year. While the humidity is not too high in Las Vegas for most of the year, the extreme temperatures mean that living without air conditioning is very unpleasant. This is exactly why you should make sure your cooling system or AC is covered under a home warranty. It is important to remember that not every component of a modern HVAC system is located inside. There are parts of the system outside the home, which are necessary to blow hot air out of the house and generate cool air for the various rooms. Those components are excessively stressed during the long and hot summers. Many homeowners find themselves in the unfortunate situation of their HVAC system breaking down and requiring an expensive fix. Not everyone has hundreds or thousands of dollars saved up to immediately repair their HVAC system. If it breaks down in the middle of summer, it could lead to the family experiencing an unpleasant situation at home. Why Do You Need a Home Warranty in Las Vegas? The climate in Las Vegas is not ideal with home appliances, especially those that generate heat themselves. While almost every homeowner in the area has some form of air conditioning, it may not be on all the time. Many homeowners turn their HVAC system or room AC’s off when they head out to work. It leads to the home getting steadily warmer over the course of the day, especially during the months of April to October – which is almost two thirds of the year! Do you know what happens when electrical appliances are subjected to rising indoor temperatures in the mid 80’s? They have a greater chance of breaking down. With a home warranty, you are fully protected against such breakdowns. Say a homeowner turns on their washing machine and dryer for a cycle as they leave the house. Now those appliances are running in a home where the HVAC system is off, creating more heat around them. Extreme cold is never an issue in Las Vegas. While there are winter months, they are about as mild as spring and autumn in most parts of the country! It leads many homeowners to keep certain appliances in their garage – an area that is not air conditioned. Most people are not too worried about their washing machine or dryer operating in slightly higher temperatures, especially if they only run them a few times a week. However, that heat can cause rapid degradation in the machines. Without home warranty, replacing your machine can be very expensive. A Choice Home Warranty policy ensures that your washer, dryer, and other appliances are fully protected. With our Total Plan, you can get protection for your water heater, fridge, oven and stove, microwave, dishwasher, garage door opener and ceiling fans! Nearly any appliance in your can qualify for protection. If you are like most Nevadians, you probably love to cook and grill at home. With the wonderful space in and around your home, entertaining family and friends will be a common occurrence. Most weekends may involve a get together, family barbeque or a holiday-themed party. It is common for homeowners around Las Vegas to buy standalone freezers, as it allows them to buy meat and other perishable items on sale. Standalone freezers are covered as an optional add-on to your policy, ensuring that any problems are resolved through the warranty. Also, if your home has a swimming pool or you are considering getting one set up, it should be fully protected by a home warranty. Thankfully, Choice Home Warranty provides add-on coverage for pools and spa areas within the home. Such protection would ensure that any issue with the pool’s mechanical items may be covered within the warranty. 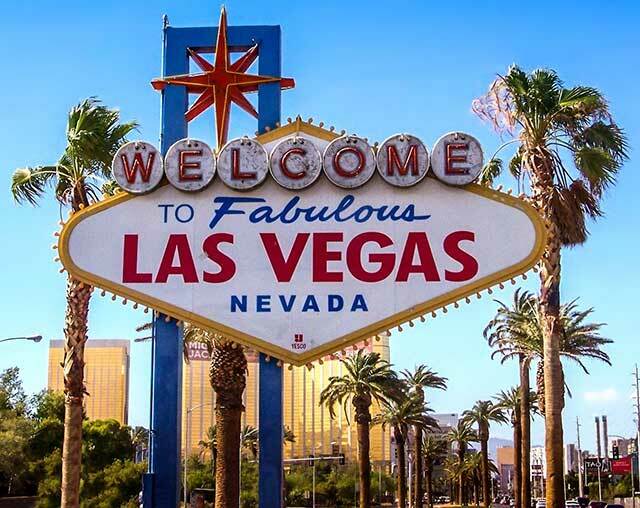 If you recently bought a home in Las Vegas, it was probably a significant investment. It makes sense to protect that investment, in every way possible. Not only does a home warranty protect the systems and appliances that help your home run smoothly, but it will also help you maintain that financial investment you made in the property. In fact, it is best to purchase a home warranty right as you are closing on a home purchase in Las Vegas. If you already bought your home, it may be a good idea to have one of our professionals evaluate the property for a home warranty. Homes in Las Vegas that have valid home warranties will fetch a higher sale price, compared to homes that do not have any warranty. While selling your home may not be on your mind at the moment, one can never predict what the future holds. Perhaps selling will make financial sense in five or ten years. If every appliance and major system in your home is protected during those years, your home will have a higher value than comparable properties without any warranty. Buyers will have to peace of mind that if any system or appliance breaks down in the home they are about to buy, it is covered by the warranty! Homes with an existing warranty may be more likely to have maintained systems and appliances. A home warranty also protects against post-sale issues. It is a common theme around the United States that a buyer closes on a home, only to discover some maintenance issue they did not know about. Now they are unhappy with the seller, which results in a dispute. When a home is under warranty, and has been for many years, such issues come up more rarely. Under a home warranty, appliances and systems are attended to when an issue is discovered. And even if a new issue does arise shortly after you sell your home, the buyer will be able to get it repaired through the home warranty they took over. Everyone will end up in a much happier place! Home warranties provide the peace of mind that if a covered item were to breakdown inside the home, it is not going to cause the family a financial headache. Families who purchase an older home and then want to get a home warranty from Choice Home Warranty, must ensure that every appliance and system is covered. It is best to consult with a Choice Home Warranty professional to get a full assessment of the systems and appliances that will be covered. A home warranty is not going to cover a system or appliance that is already damaged. For instance, a stove top that already has two burners that do not work may not be fully covered by the home warranty. Whether it’s a new or very old home, a home warranty always makes sense. Some families think it is better to put that warranty money into an emergency fund. But the truth is that most of us will find some reason to spend extra money when it is available. A home warranty also allows families to reserve emergency money for true emergencies, such as unexpected trips or medical issues. Even if there is a whole year where nothing breaks down in your home, you managed to get peace of mind for those 12 months. It is hard to predict when issues strike. Maybe an appliance will break down a few weeks after the first year of your warranty is up! It is why many Las Vegas homeowners choose to renew their home warranty every year. Given the incredibly low annual rate for a home warranty, a single appliance replacement can end up costing more. It is more expensive to buy a lightly used washing machine than get complete protection for almost every system and appliance in your home. If you have any concerns about how the home warranty works, or what items are covered, make sure to ask the Choice Home Warranty professional to discuss all your coverage options. A warranty from Choice Home Warranty will cover major systems and appliances within your home. Of course if there is a pre-existing problem or condition it must be repaired prior to entering the policy. Major systems such as heating, cooling, central air, garage openers, electrical system, ductwork and plumbing. Appliances such as the clothes washer and dryer, dishwasher, refrigerator, built in microwaves, garbage disposal, whirlpool bathtub, ceiling fans, exhaust fans, water heater, oven and stove. How Can I Get a Home Warranty? The process of obtaining a warranty through Choice Home Warranty is very straightforward. All it requires is an initial communication from the customer, which can happen online or over the phone. Homeowners can fill out an online form, which will result in a free quote from Choice Home Warranty. It is also possible to receive a quote over the phone. Information necessary to receive a quote includes your name, email address, phone number, address and square footage. A Choice Home Warranty professional may ask you more questions about your home, its systems, and your appliances to get a more detailed warranty quote ready and ensure you have the right coverage for your home and needs. Once you are comfortable with coverage details and pricing they can bind coverage for you and ensure you never pay for covered home repairs again. I already have homeowner’s insurance. Is a home warranty any different? Yes, it is very different. As mentioned above, homeowner’s insurance only protects your home and the items inside in the event of a natural disaster or robbery. There is no protection if your HVAC system stops working or a pipe bursts. With a home warranty, every appliance and system inside your home is protected all the time. I have a few appliances that are close to ten years old. Is there any chance they will be covered in the warranty? Yes, even if you have appliances that are five or ten years old, they can be covered with a plan from Choice Home Warranty. The only criteria for coverage is the working condition of the appliance. Is it important to get my home inspected before I sign up for a home warranty? No, it is not a requirement. But a home inspection is encouraged, as it would allow a Choice Home Warranty professional to assess your appliances and systems. If any pre-existing issues are discovered, you can either get them fixed before the warranty commences or note them in your policy. How quickly does coverage begin? When you enroll in a policy from Choice Home Warranty, your coverage will begin within 30 days of the enrollment and payment of fees. The warranty will last for a full 365 days from the start date. Do I have to pay any money if I request a service call to the home? Yes, if you require service on an appliance or system in your home, there is a low one-time charge for every service call. The fee is there regardless of how much the eventual repairs cost. How do I file a claim or request service? And what if the broken item is no longer for sale? When you notice an issue with a system or appliance within your home, it is best to file a claim within 24 hours. It is possible to submit a claim online or over the phone. Choice Home Warranty will handle all the next steps to ensure your system or appliance is diagnosed properly. If an item is approved to be repaired and it is deemed that a repair cost is beyond they value of the unit, Choice may replace it or may provide you with a cash payment similar to the market value of the item. Homeowners can use that cash to buy an appliance model of their choosing. Home warranties provide families in Las Vegas with a financial safety net. When an appliance or system breaks down, it is covered by their home warranty. Aside from a small fee for service calls, homeowners no longer need to worry about spending sizeable chunks of their savings on covered home repairs. Home warranties are so affordable that a single appliance or system repair and replacement can end up costing more. A home warranty from Choice Home Warranty is a sensible way of protecting your home and finances.